Michael Eversden | McGinty Music, LLC. Michael Eversden was born in England and studied bass trombone at the Royal College of Music under Gerry McElhone, bass trombonist with the Royal Opera, Covent Garden. In 1980 he was appointed principal bass trombonist with the North Netherlands Symphony Orchestra (NNO), and has since worked as a freelancer with nearly all the major Dutch and British orchestras. 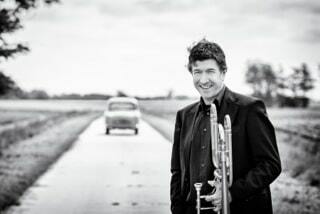 He is a founder member of the Dutch Brass and The Trombonauts (educational concerts for primary school children), teaches at the Groningen College of Music and also composes and arranges music for the bass trombone and other brass.